Ahh… Bookish settings. Is there ANY book lover who, at some time in their life, has not wished with everything in them that they could visit the world of the book they’re reading. I was particularly susceptible to this as a child, and haven’t fully outgrown it yet! So, many thanks to the girls at The Broke and the Bookish for suggesting this topic for today! I’m not sure I’d have the courage to venture into many of the lands through the cloud , but I have always wanted to slide down the huge slippery-dip running from Moonbeam’s house down the centre of the Faraway Tree. And I wouldn’t mind trying one of Silky’s pop-tarts either! What Austen-lover wouldn’t jump at the chance to escape into Austen’s world? In this story, the protagonist agrees to accompany her friend to an estate home that offers visitors the complete Austen experience: costumes, meals, activities, and so on. I would SO be there! The setting is always an extra character in Mary Stewart’s novels, and I could have picked any one of several of her books to feature, but there’s not much can beat relaxing on a Greek island. Not that her protagonist is really able to relax at first . . .
There’s something irresistible about Melissa Tagg’s fictional town of Maple Valley, Iowa. It’s welcoming and homey, and they know how to put on an event! Quintessential small-town America. They might be practically our nearest neighbour (and my mother-in-law’s native country as well), but I haven’t visited this picturesque country yet. It’s definitely on my bucket-list, though, and I’d be keen to add in a few of the Middle Earth attractions while I’m there. Although, maybe I’ll draw the line at dressing like a hobbit . . .
To be honest, I really wanted to put The Ringmaster’s Wife (also by Kristy Cambron) on this list, but it was on an earlier list of unique settings that I did for a Top Ten Tuesday post, and I’m trying to not duplicate too many. So I went with this one instead. They’re both fabulous settings, but I love the mystery surrounding Wren Lockhart, and her performances were spellbinding. Mt. Rainier National Park is definitely a character in its own right in this novel. One I would love to meet in person, even though I finished reading the novel feeling as though I had climbed Mt. Rainier myself! Which bookish setting would you really like to visit? 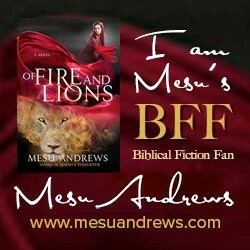 Image | This entry was posted in Christian Fiction, Top Ten Tuesday and tagged C.S. Lewis, Enid Blyton, Kara Isaac, Karen Barnett, Katherine Reay, Kristy Cambron, L.M. Montgomery, Laurie Germaine, Mary Stewart, Melissa Tagg. Bookmark the permalink. Yay! We both have Corfu, Narnia, Prince Edward Island and Mt. Rainier! Great List! I think Maple Valley Iowa must be on everyone’s list! It sure is a great small town setting. Greece would be so fun. I would happily go to any of these places! Great list. Narnia and The Faraway Tree were both on my list this week too! I went on holiday to Greece with my friends this year, but we didn’t do Corfu, we did Athens, Crete & Santorini.